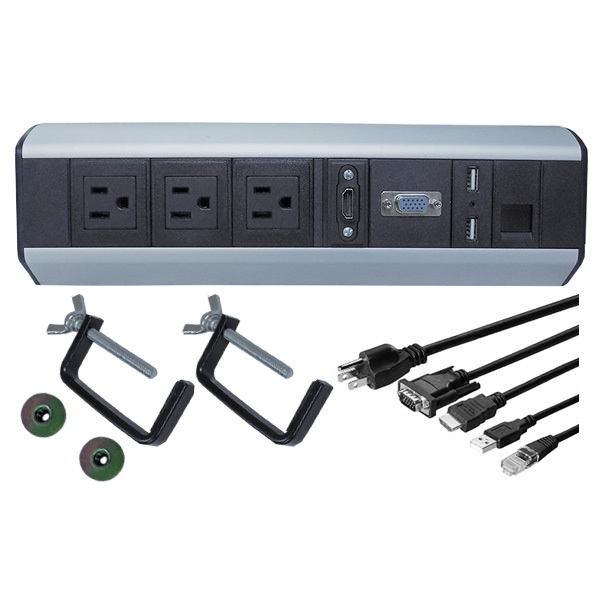 Power & Data Edge Mount Center with mounting brackets. 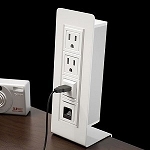 Have you ever had multiple electronic devices but nowhere to plug them all in? You can use this multifunctional power socket and its 3 power-2 data design to power up to three electronics and transmit data through two category 6 shielded jacks. 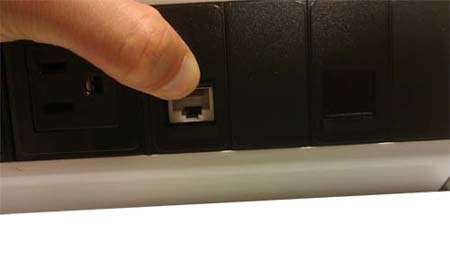 There are two connectors on the back that will send data through the base to the connections on the front. 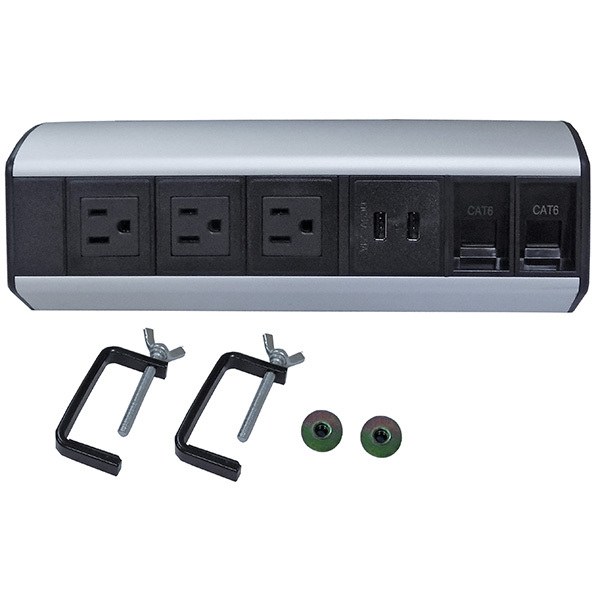 The power strip itself is 11L x 3.5W x 3H inches, made out of aluminum alloy, and the cord is 14AWG (2.08mm2). This power and data extension block is compatible with sockets transmitting up to 300V. 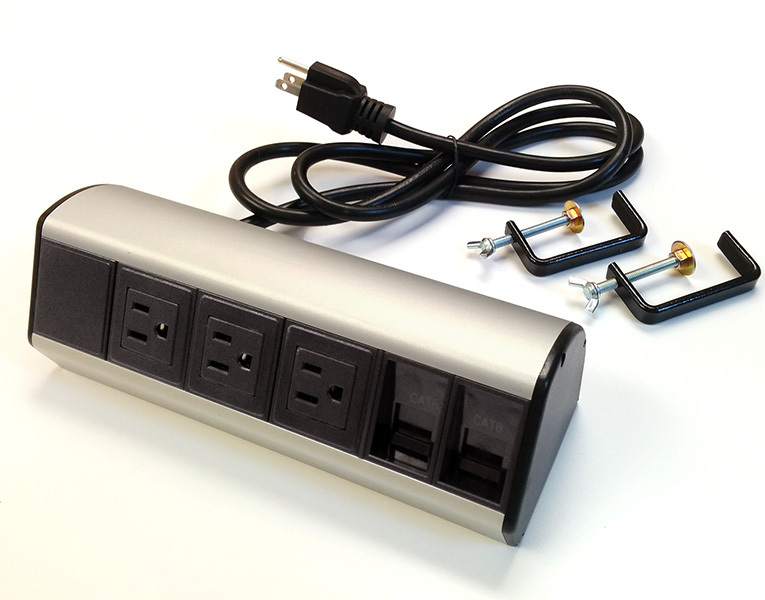 A rated voltage of 115V is standard for the surge suppressor, with a maximum output of 1840W. 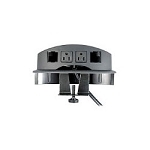 Voltage spikes are guarded against up to 16A and the power cord can withstand up to 105°C and is UL Rated. 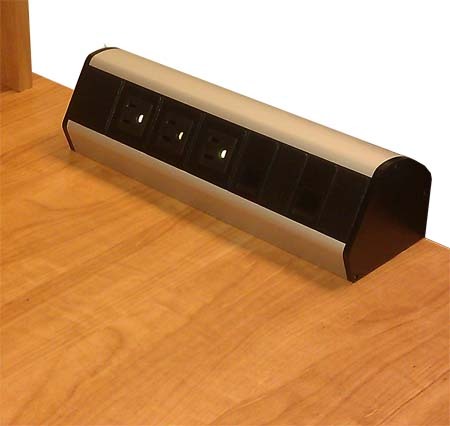 You can place this power strip on the edge on a variety of desks and tables, and secure its position with two clamps that are included. Please click the "Specifications" and "More Information" tab for additional data.